In our opening ours you may of course use our rooms to read books, newspapers and magazines for free. If you don´t have access to the internet at home, or if youare staying in Niebüll for the holidays, you don´t have to renounce on e-mail, Ebay etc. : You can go online in Niebüll Public Library. With friendly support of Albigo, we offer three internet-workstations. 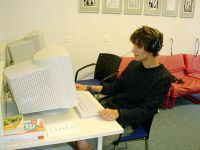 You don´t have to be a registered member to use those workstations. It´s also possible to send sms and use a printer. Unfortunately it´s not possible to download files, by reason of the internet-security-settings. 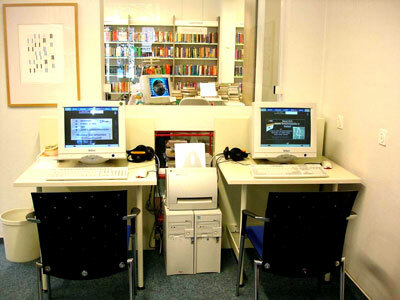 With Niebüll Public Library you´re online - any time! At Niebüll Library there´s a photocopier. So you have the possibility to copy information out of books, which are not allowed to be borrowed, e.g. our encyclopaedias. Library orientations will be offered to classes and other interested groups upon request. 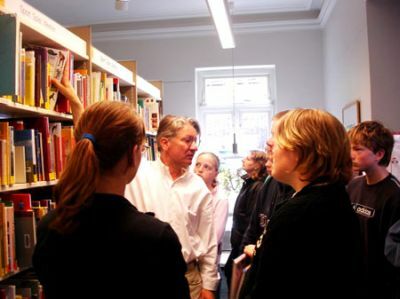 Library orientations can include topics such as an introduction to the library's collections and services, search strategies, the history of the library´s building etc. If you have other questions, you may of course ask them. Are you interested in a library orientation? Contact us. We´ll find a date to show you our library and introduce you to it´s use. Would you like to know about upcoming events in your neighbourhood? 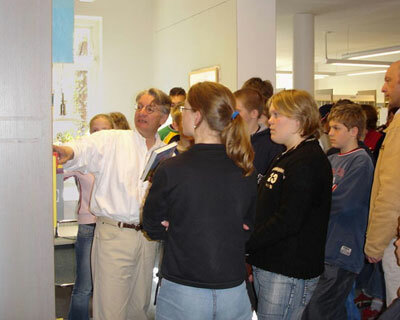 Niebüll Public Library has always the newest brochures, prospects and flyers about events and festivals. Have a look and you will never miss one of those exciting happenings.